The flexibility sophomore summer gives — specifically, the ability to take an off term and do a winter internship — is a huge advantage to Dartmouth students. Many of the internships offered in the sophomore summer recruiting cycle pull only from Dartmouth and one or two other schools, giving us a huge advantage in the job market. Whether this same flexibility would apply to RPI’s program is unclear as their summer semester would be optional to start and might not free them up for another term down the road. For a semester school, they also have the additional challenge of the summer being shorter than a normal term, making it very difficult to adapt their current classes and curriculum. I don’t know if it’s possible for RPI to run a sophomore summer as academically challenging and advantageous as Dartmouth’s, although I have faith that the fun aspect of Dartmouth’s sophomore summer would apply anywhere. For RPI’s program to be truly successful the way Dartmouth’s is, they would need to put in a lot of work. 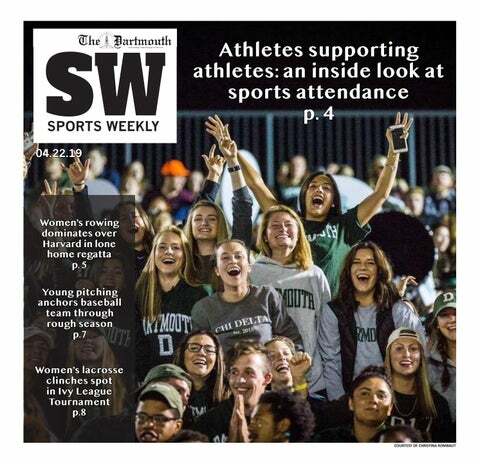 In my opinion, sophomore summer is unique to Dartmouth because it only truly works at a school like ours. Sophomore summer would translate well to other quarter schools, but it may not translate as well to semester schools. Expecting a 12-week semester to accomplish the same as a 14-week one is not feasible — courses that work perfectly for a 14-week semester will be crammed into a 12-week one, and students will suffer as they have to handle the same course load with only 85 percent of the time they normally would have. Professors could redesign classes to fit the summer schedule, but in doing that they would risk skimming over important information they would have been able to cover during a regular term. With time, we will see whether RPI’s plan works. Since ithe school will only require the program starting with the Class of 2021, RPI will hopefully be able to fix any issues that arise in the next few years as they start to implement it. Although a sophomore summer-inspired program may not work at semester schools such as RPI, it would work at other quarter schools such as Northwestern University or University of California at San Diego. Sophomore summer at Dartmouth, for all its faults, works well — it allows students to bond with their class and take another term off to do something interesting, whether that be working at an internship or going on a backpacking trip. And it helps keep campus less congested, as sophomores will then take off during other terms. If other schools are able to implement a plan similar to Dartmouth’s sophomore summer without sacrificing academics, I believe it would translate very well. I have doubts as to whether sophomore summer would work well at RPI. The primary reason I enjoy sophomore summer is that I know most people on campus and am able to get close to my class, and I believe our relatively small student body and campus contributes to that. However, from an academic and professional standpoint I believe sophomore summer can be quite useful at any college. After all, it allows students to take off-cycle terms off to travel, do an internship or volunteer — all things that might not otherwise be possible through sophomore summer. All in all I think there is potential for other colleges implementing sophomore summer, but it must be tailored to the specific college’s needs.